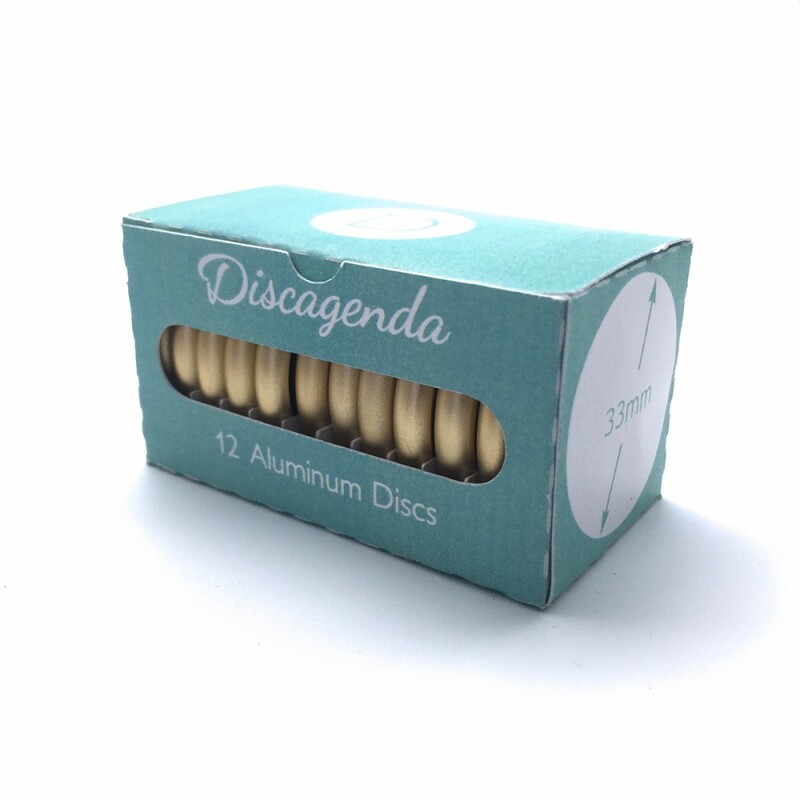 12 high quality aluminum discs anodized in Gold color. Fits any discbound system. 33mm / 1.3in diameter.